In this movie you see the versatility of our Mobile Column Lifts. 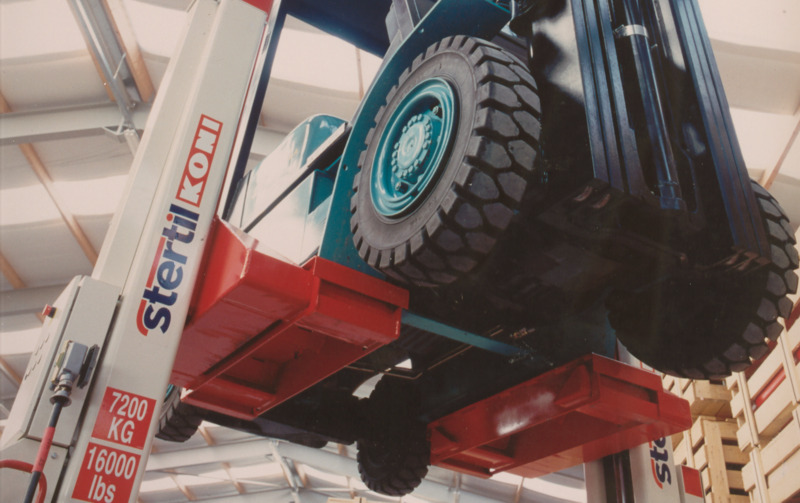 An engineer uses cabled Mobile Column Lifts for maintenance on a Fork Lift Truck. Fork Lift Adapters make it possible to lift 3 and 4-wheel Fork Lift Trucks in combination with a set of 2 Mobiles.